It’s been an exciting couple of weeks around here. First, Brian was named one of the Top 40 Digital Strategists by OMI, then SEO Copywriters recognized him as one of their top guest posters of 2012. 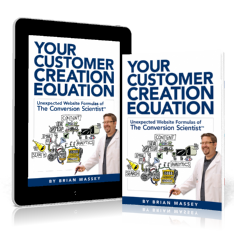 And today, Your Customer Creation Equation was recommended by Shopify Blog as one of the 30 books that will help you increase sales. This calls for streamers and champagne! Shopify included some really amazing titles on the list. There are books for conversion, books for entrepreneurs, books for marketing and PR, and every type of online marketing under the sun. 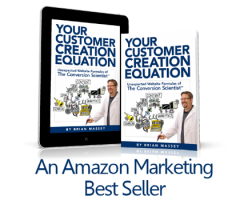 It’s pretty cool to see Your Customer Creation Equation listed with so many great books. It’s not often a conversion and optimization book gets to be listed with Tony Robbins or Malcolm Gladwell, so this is definitely worth celebrating. Congratulations Brian!